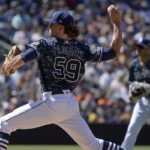 There is no doubt that the San Diego Padres must improve in the 2019 season. There are some serious concerns about the club even though the farm system is deep. Let’s explore why this coming season is huge for this franchise. 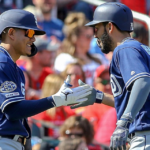 On MLB Network, Joel Sherman and Dan O’Dowd recently stated the obvious: the Padres must show improvement in the 2019 season. 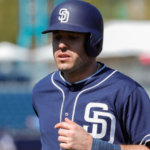 The two also emphasized the need to start using the highly-rated minor league talent either on the field (as in Fernando Tatis Jr. and Luis Urias) or in trades to upgrade at positions of need. “Well, duh”, said any Padres’ fan with a pulse. 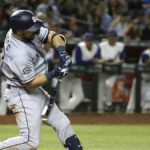 The Padres haven’t had a winning record since 2010 when the team finished second in the National League West with a 90-72 record and +84 run differential. The roster that year included players like Yonder Alonso, Rene Rivera, Jedd Gyorko, Chase Headley, Cameron Maybin, Will Venable, Yasmani Grandal, Yangervis Solarte, Chris Denorfia, Carlos Quentin, Nick Hundley, Jace Peterson, and Joe Wieland. Less than a year after his arrival in August of 2014, A.J. Preller traded every single one of those players and fired manager Bud Black. Since then, Preller has amassed a deep and highly-rated farm system, and his touted draft picks should start to arrive this year. But the Padres can’t just hoard all the top prospects. The team must be willing to give up value to receive value. Also, lest we forget, the draft has long been known as a crapshoot for good reason. Even first-round players fail at a high rate. And, although Preller definitely has an eye for identifying good young players, his record in adding veterans has been spotty at best. For example, in 2015 Preller signed pitcher James Shields to a four-year, $75 million contract, at that time the most lucrative free-agent contract in Padres’ history. Shields’ age alone (he was 33 at the time of the deal) should have caused second thoughts. Although Shields had a promising 13-7 record his first year, he started the 2016 season at 2-7 before being traded. All was not lost as Preller did net Tatis Jr. in the trade. But, it should also be noted that Preller gave up a first-round pick when he signed Shields. Other veterans like Matt Kemp and Jered Weaver also bombed. Eric Hosmer may rebound this season, but it appears that the Padres may have given up on another highly-touted acquisition, Wil Myers. Myers has been rumored to be on the trading block. 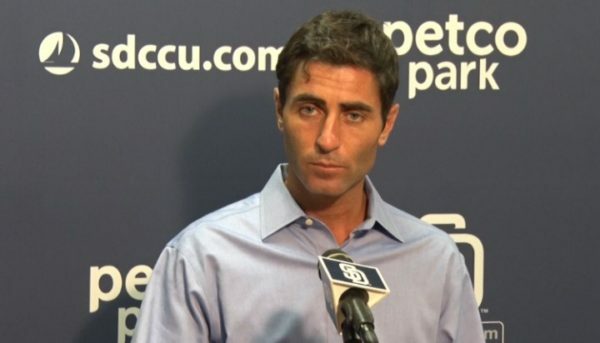 Preller and the Padres cannot afford to blow it when making decisions this winter. 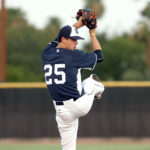 Rumors have been flying around connecting the team to a variety of players, especially starting pitchers and third basemen. The Myers experiment at third has obviously come to an end, and his name comes up frequently in speculation about various trade scenarios. 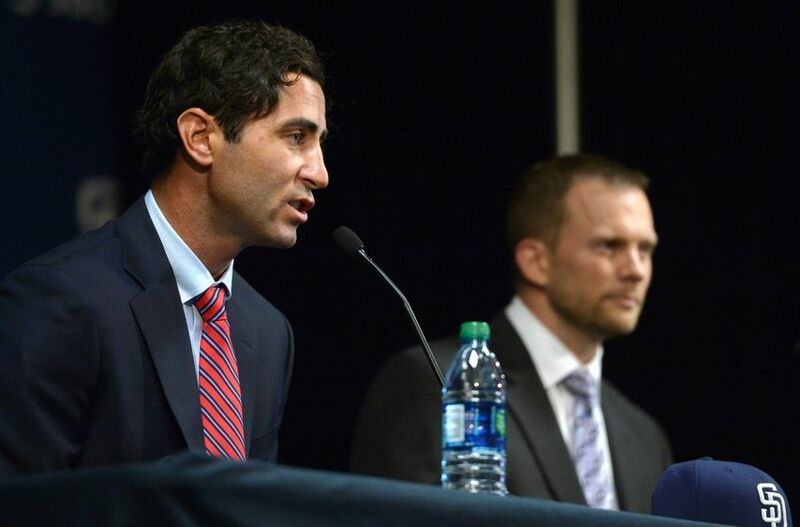 The annual Winter Meetings will convene on December 9, and Preller may not make any moves until rubbing shoulders with his fellow general managers. Moves must be made to improve the team at the major league level. A worthy goal for this year would be at least reaching .500. Under Preller, the Padres have not reached the break-even point and have records of 74-88 in 2015, 68-94 in 2016, 71-91 in 2017 and 66-96 this year. Judged by run differential, the picture has not been pretty: -81.0, -84.0, -212.0 (highest in MLB) and-150.0. Of course, run differential only tells part of the story. 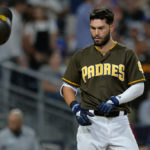 This year, the Padres ranked dead last or toward the bottom in a number of other key measurements as well, including batting average (.234), OBP (.299), SLG (.393), OPS (.692), fielding percentage (.981) and pitcher strikeouts per nine innings (9.38). As the hot stove heats up this December, Padres fans will be watching the front office carefully. The players the front office adds through trades or free agency could have a huge impact on the future success of the local team. One concern I have with a “we need to get to at least a .500 winning percentage” is that it is a rush. The Padres are not a big market club. I’d love to be able to consistently be I win now mode, but the Padres haven’t completed a full rebuild in my life (born ’92). To have sustained success, we need to be able to properly evaluate our young talent as it is our main fuel for success. Preller consistently cites “waves” with groups of prospects reaching the majors. I trust this philosophy and would prefer not to be wreckless letting go of a Kluber or Rizzo again. The Padres can trade prospects, but with rebuilds, that happens generally when you are a piece or 2 away. Ownership showed great faith with the international signings a few years back. Those kids were 16/17 year olds. Thus the rebuild has taken longer. We need to stay patient. Ps O’Dawd represents the big dog (mainly Mets from what I’ve read). He doesn’t want a small market team to get too smart. There’s enough stiff competition from big market clubs with high paid veterans. Adding mid market clubs like the Astros to perennial threats makes life so much harder for them. Like a bully they want to keep the little guys down and have us turn on the plan before the threat grows up with talented controllable assets. Great article. 2019 should be a make it or break it year. Thanks as always for your interest and communication, Tom. Make or break year indeed. We absolutely need to see the needle move up for a change. There’s no argument the Padres need to show major improvement on the field in 2019. To begin with, the rotation started last year with Richard, Ross, Lucchesi (rushed to replace late scratch Lamet), Perdomo, and Mitchell. Ross was put on waivers and lost, Perdomo got sent down, Mitchell was demoted to the bullpen and then the DL, and Richard was pitching on two bad knees. We then saw Lauer called up and after a rocky start showed development. We also saw Lockett, since traded, Nix, Kennedy, Erlin, Lyles (since lost on waivers), a successful return of Mitchell, and Strahm. That was quirte an audition of starters, while the Padres’ traditional good bullpen returned, even after the trade of closer Brad Hand, and reliever Cimber. The improvement in ’19 hinges mainly on the pitching. Compared to the 2010 Padres, that team won because it had the #2 staff in the league. The 2018 staff has to improve from 13th. There’s youth on the staff for 2019, even without factoring in potential callups of Logan Allen, Cal Quantrill, and Chris Paddack. The 2010 team was better, but the hitting wasn’t far off from the current team, and the fielding, though better, wasn’t that far from the potential of the players now on the team. It’s the pitching that has to improve, mainly the starters. Lucchesi and Lauer give us hope, and there’s probable improvement from Nix and Kennedy, but they’re not the best prospects from the farm. The next three waiting in El Paso are, and the season may come down to them getting called up early enough to make a difference, and making the adjustment quickly enough. Thanks for your interest and comment, Lorenzo. It’s definitely true that the pitching has to improve dramatically. However, it’s also important to note that the Padres’ were at the bottom or close to bottom in just about every offensive category there is including OBP, despite that being focus of the front office and coaching staff this year. I daresay the 2010 team cannot match that level of futility. Thank you again for parting company with some of your colleagues who are acting like we’re halfway down the “Yellow Brick Road”. This team has a lot of work to do but I was amazed and surprised Preller took out some of his trash and unloaded Spangenberg. I’m sure Spangy is a great guy but he’s a quintessential Padre- crappy. The crap part already is that there was an opportunity to move Myers and pick up Jean Segura and a decent option in Leake as a SP. This was a pretty big f-up to not push this. Sure, maybe Segura didn’t want to come here but the Mariners were ready to deal something. My thought a while ago was moving Myers for a bloated SP contract so that you kill two birds with one stone. Add Segura in there and you have a steal (and you have the option of holding onto Naylor). Our deal was certainly possible, considering that the Phillies riddance of Santana was the big piece there. Very odd thinking in SD…. I’d love to assume Preller has a plan B to get rid of Myers…. I mean, I really hope. 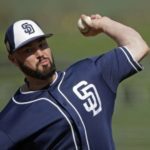 Dumping Reyes at this point is lunacy and I’d even like to see Renfroe hang around a bit longer as he might actually turn into a decent all-around ball player. I agree on you .500 comments but I really feel like that’s a reach. Green is sort of a crap manager but with two decent bats and two decent starters .500 is possible. It get old all the “contention” talk though. You can’t simply grab a few guys and get there and you can’t simply insert Quantrill and Tatis tomorrow and all the sudden you’re a winner. I think Preller has a plan…. I really hope he does, but this year, he needs to move Myers, add a 3B, get a real CF, and for the love of god, two real pitchers. Good luck…………..
Hi Paul, Thanks for reading and commenting. Yellow Brick Road. I like that. Hehe thanks, your viewpoint is deeply appreciated by this realist Padres fan (and one who has watched countless ownership groups and GM’s simply stink while they raked in cash). 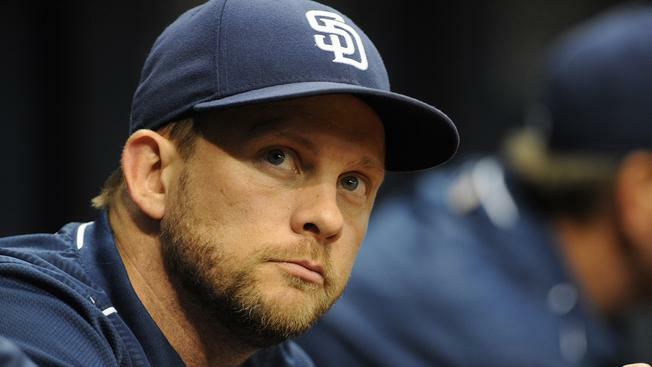 For us: the hopeful, cautious, and pissed off, the “yellow brick road” certainly has many different terms in the Padres fan thesaurus but that’s where we’re at mentally, physically, psychologically and realistically. Preller has a fantasy, we have a fantasy, and truly, reality has yet to yield any discernible baseball decency (and it might not). Again to your point, .500 is a beginning to actual potential in all of this. We’re all so excited for this upcoming time, but this year and next are going to tell us a lot about Preller’s acumen and maturity as a GM. Amassing talent is great but it’s essentially like amassing a bunch of money in a Monopoly game. If you don’t have functional pieces to put down in the game, you will simply run out of steam. Running with that metaphor, I’d like to see some pitching and bats arrive here more along the “Illinois Ave” caliber. We’ve had enough of “Connecticut” and “Reading Railroad”… and that’s all we’ve really seen since the Preller era started. Norris, Shields, Middlebrooks, Barmes, Upton Jr seemed to stink up the low rent districts while Upton and Kemp took the train out of town.